The best revenge of all: being happy; nothing drives people crazier than seeing someone living a good life. 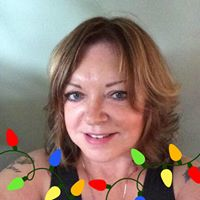 She has been a member of New Jersey Romance Writers and Romance Writers of America since 1990 and considers it an honor to have been NJRW President in 1992 and 2001. She is one of the founding members of Liberty States Fiction Writers, multi-genre writers’ organizations dedicated to furthering the craft of writing and helping aspiring writers move onto publication. Kathye’s book inspired by the TV series, the Bachelor, entitled Ineligible Bachelor, gives her readers a look of what could happen behind the scenes of the TV show. A runaway hit, Ineligible Bachelor has made Amazon’s top 100 books in contemporary romance and has been sold internationally. Kathye’s current project, a three-book series with the Wild Rose Press entitled Bachelor’s Three begins with Bachelor.com Kinley and Jack’s story. A frog to prince romance about two people who would not admit they were in love until it was almost too late. Just released book 2—Solid Gold Bachelor reveals the problems stardom and groupies can cause when a rock star comes back home to claim the woman he left on the road to the top. Will Carly take Shane back, or will the claim of paternity from a fanatic woman who is later found dead seal their fate forever? Book 3 still in production—The Bachelor’s Agenda, will explore the world of politics when the perfect tabloid reporter meets the perfect Senatorial Candidate. Kathye’s holiday romance, ‘Tis The Season, was a 2006 HOLT (Honoring Outstanding Literary Talent) Medallion finalist and Sapphire, part of her Grandmother’s Rings series was a national Readers Choice finalist. Kathye’s debut historical romance Daughters of the Moon, has been heralded as a flawless glimpse into the world of the ancient Greeks. King Arthur and his knights have fascinated Kathye ever since she saw the first episode of The Adventures of Sir Lancelot on a black and white television way back when she was a little girl. The dashing William Russell as Sir Lancelot stole her heart and swept her away to a time when "In days of old, when knights were bold, the stories told of Sir Lancelot." From that day on, she began writing her own tales of knights and their ladies. Her Beyond Camelot—Brother Knights series began with the release of Cynthia and Constantine and continues with Braeden and Janne. The third and final book, Reynar, the Warlord’s Honor is in process. While writing romances has been her dream for many years, the book of Kathye’s heart is a non-fiction work entitled, Hi Mom, How Are Things in Heaven, developed after the death of her mother and deals with coping with grief though humor. She hopes to finish that soon. Writing as P. K. Eden with colleague, Patt Mihailoff, Firebrand, their debut urban fantasy, has been heralded for having lush worlds and colorful characters full of secrets and magic. Based on the fall of the Garden of Eden, Firebrand, has won two Reviewer’s Choice Awards. Kathye originally wanted to be President of the United States or an Organic Chemist, but somehow life got in the way and she got married right out of high school and had a set of twins two years later. The Presidency seemed out of reach and night school to get her Ph.D. to create new molecule that would ultimately result in the betterment of humankind seemed a little time consuming while trying to raise twins, so she decided to write instead. In her "other" life, Kathye is married to her real-life hero Donald and has three grown sons all having adventures of their own, one granddaughter, one grandson on the way and three "bonus" grandchildren. She is a die-hard New Jersey Devils fan and works for Somerset County government (as close as she could get to the White House) and is plotting a novel about a new molecule that will ultimately result in the betterment of humankind.